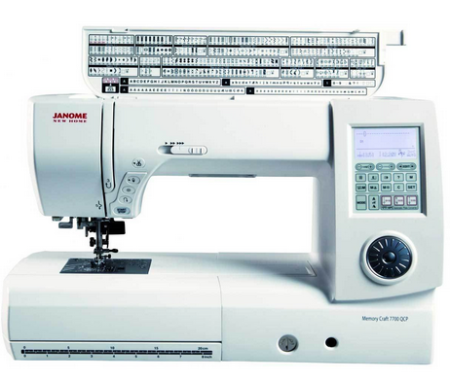 Janome MC 7700QCP is a wonderful high-end sewing and quilting machine. The plastic bobbin holder is a slight weak point though. This is an expensive sewing and quilting machine, but it has all the features of a $6000 machine. This would be a cost effective solution for those who don’t have $6000 to spend on a quilting machine. The large work space is something that I really liked about MC 7700QCP. It has a work space of 11″ x 4.7″, which is by far the largest in the price category. 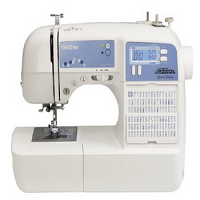 The machine comes with 250 built-in stitches which include 11 buttonholes. It has 3 monogramming fonts on-board. It has Automatic Plate Converter (APC), which is specifically designed for improving free-motion quilting. APC really works its magic, especially during high speed quilting. Basically what it does is that it changes the size and shape of the needle hole when you select a straight stitch. This prevents the fabric from being pulled into the needle plate thereby making the fabric stay flat and smooth. It is actually a complicated thing to explain, I think you gave got some idea on how Automatic Plate Converter works. Superior Plus Feed System is another unique feature of MC 7700QCP. This is not an exclusive feature though. I have seen SFS+ on some other Janome machines as well. This box feed mechanism provides consistent fabric feeding without slipping. Another commendable feature is the AcuFeed mechanism. It comes handy when you are dealing with multiple layers of thick heavy-duty fabrics. 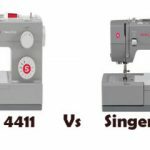 Apart from these special features, you will get all other features you normally get on a regular computerized sewing machine. Start/stop button, speed control slider, automatic needle threader, automatic thread cutter, programmable needle up/down are some of them. 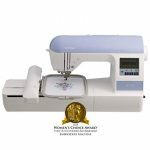 Janome MC 7700QCP is free arm capable, it also has an extra-high presser foot lifter to handle multiple layers of fabric. It has an adjustable knee lifter for dropping the feed dogs without taking your hands off the work. It is like having an extra hand, a really useful feature. You can select the stitches either by using the dial or with the help of LCD touch screen. 5 LED bulbs provide lighting for the work space. 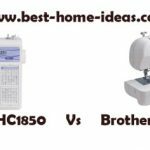 The maximum sewing speed that can be attained is 1000 stitches/min. Maximum stitch width is 7mm and stitch length is 5mm. Everything is customizable on this machine. You can even customize the stitches and save the pattern in the built-in memory. Hard cover and extension table sometimes need to be purchased separately, it depends on where you buy it from. It comes with 25 year limited warranty. You will also get a lot of bonus accessories with this machine. This machine is available in red color as well. Whenever you are out in the market for buying a machine that costs thousands of dollars, you will always be skeptical. You will have to make sure that the machine you buy is worth every penny. This is a long term investment and no one wants to end up buying a frustrating machine. 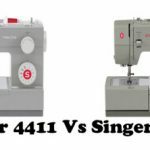 I have been using Janome MC 7700QCP for a year now and I can clearly say that it is one of the best I have ever come across. It is a frustration free sewing machine. The machine is quiet and it operates smoothly. Around 26 pounds, you can’t say that it is too heavy. It is not a huge machine by size, it still fits on a medium sized desk. The construction is pretty solid and it is a workhorse. If you are looking for a machine to sew a lot (by that, I mean ‘a lot’), this would be one great option. The tension is perfect and the results are amazing. It is an absolute pleasure to work on this machine. The large work space is really handy while doing large projects. You will understand the difference only when you use it. The straight stitches are 99.999% straight, if not 100%. It is as close to perfection you can get. It works equally well on both thick and thin fabrics. I had a tough time finding a drawback of this machine. Probably you can say that the plastic bobbin holder is a weak point. Not a big deal though. It doesn’t affect its performance in any way. Yes, it is. 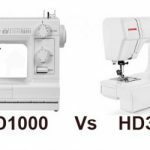 Janome MC 7700QCP is a machine built to last. It is a frustration fee sewing machine. You will love this machine if you are a perfectionist.